— We sit down with Entrepreneur Lin Kayser, one of the founders of Hyperganic, a startup focused on developing advanced software technology for 3D printing, and discuss some of the many industry-changing doors 3D printing is opening. So how will 3D printing change the design process? With 3D printing it now only takes a couple of days to print an entire building. It doesn’t matter if your building is intricately shaped or has curves or has lots of curves and complex designs because it costs exactly the same amount as creating a building that's just rectangular. A lot of the stuff around us is limited by our production process. Do you know why your room is rectangular? It's the cheapest way to build it. Why doesn’t your desk have ornamental legs? Because in the current manufacturing process it is very costly to produce something with sophisticated shapes. This all changes when 3D printing processes, also called Additive Manufacturing, are used. This is really the path that excites me and I think eventually it will permeate into almost every aspect of our lives – making designs possible that designers currently wouldn’t even contemplate because they could never pay for the production. Any industries, in particular, making big gains? Right now, mostly it’s industries like aerospace, where, for example, a small reduction in weight can translate to millions of dollars saved in fuel costs. But I’ll give you a few examples of industries that most people don’t think of, when we talk about Additive Manufacturing. For example most of the 3D printed clothing that we've seen so far is very ornamental and not really practical because it’s mostly made out of rubber or plastic or something like that. But now, the first printers are here that can print very intricate fabrics. Eventually it will revolutionize how we build/create clothing for ourselves because right now clothing is basically stitched together from rectangular pieces of material as that's the only way we can build it. Imagine if you could if we could three-dimensionally shape your T-shirt, how would you then design it? I think it would be will be quite transformative. It's the same thing with pharmaceutical companies. There is like a lot of research going on with customized medicines: instead of taking five pills you can just take one that has all of the medications 3D printed together. 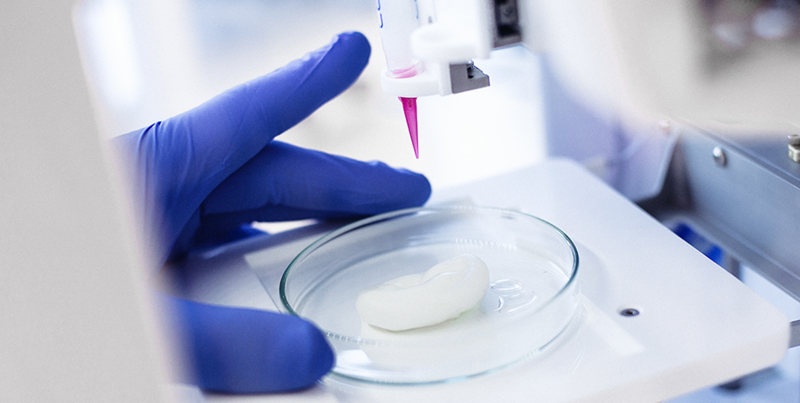 Then there are scientists who are starting to print living organs. It’s still experimental, and it doesn't work completely yet. But I'm pretty sure in the next decade we will be able to print replacement parts for our bodies. Cellink is a biotechnology company and one of the first bioink companies in the world. There is also a huge interest currently within the food industry. Right now it's mostly for decorative purposes, but there are several startups that are interested in printing food that looks great, tastes perfect and contains all of the nutrients that you need. Foodini by Natural Machines is the first 3D printer to print all types of real, fresh, nutritious foods, from savory to sweet. I mean the interesting thing is that Additive Manufacturing works with essentially every material imaginable, whether it's steel or plastic, chocolate or even living cells. And so eventually it will end up in almost every industry. 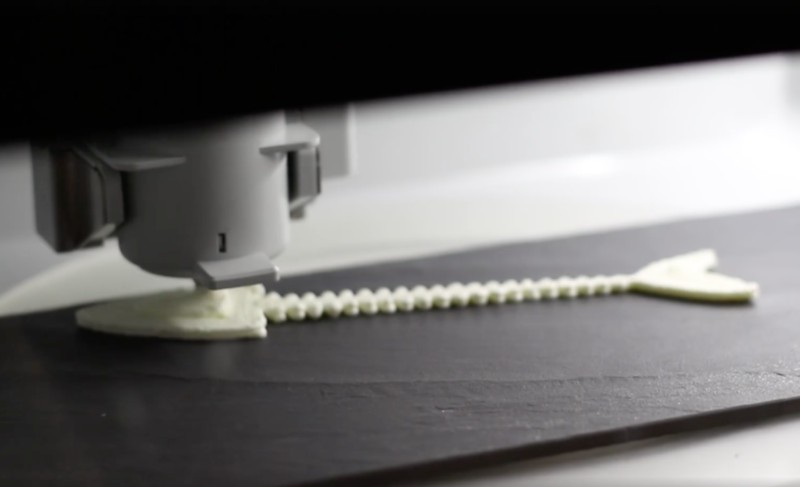 Which businesses should be approaching 3D printing? If you deal in hardware or build hardware, it’s a no-brainer, you should buy a 3D printer as it accelerates prototyping dramatically. Companies that generally work with physical objects should have at least a few 3D printers so that people learn to play around with them, and actually get to know what the process is capable of. Oftentimes it doesn’t quite make sense to invest in 3D printing for end-use parts, because, unless you redesign your objects, the process is too expensive. But if your designers and engineers have access to printers, they will start to come up with designs that cannot be fabricated in any other way. Maybe one of these designs will eventually be so advanced that you will jump into the space of 3D printing for end-use parts. It’s not going to really take off as a technology unless we begin to give designers and engineers time to get to know it. 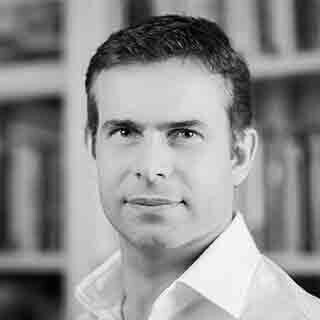 How will Additive Manufacturing affect the supply chain of industries? It will disrupt almost every part of the supply chain because it essentially eliminates it entirely. If you look at the factory today – it’s mainly a big logistics hub. There are lots of parts going in on one side and you have lots of assembled product coming out of the other. Now I believe that 20 years from now we will have 3D printers all around us – there's no reason the supply chain and fabrication of products has to be centralized when that happens. With 3D printers you can decentralize production and move production very close to the consumer. Essentially what will happen is the creation of micro-factories inside cities that produce functional parts that are then shipped to you, with ever increasing proximity. This will dramatically reduce logistics, containers will become a rarer sight, fewer trucks will be needed on the road, which is better for the environment (3D printing greatly reduces wastage anyway) and there will be fewer big factories in remote places. It will disrupt the industry as we know it. How can 3D printing affect the developing world? 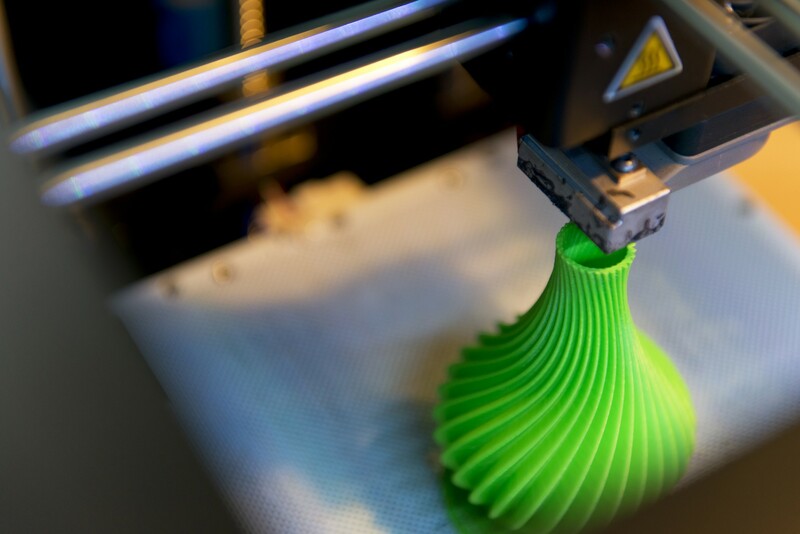 Again it will be down to how 3D printing influences supply chains. When we talk about 3D printing we mostly think about the West – ignoring the developing world. In developing countries, what is often the case is a lack of a perfect supply chain. They can't just order stuff online and get it shipped to them within a day or even a week. So for entrepreneurs in the developing world managing a reliable logistics can be a nightmare. If you digitize the supply chain and manufacture products on demand locally, a lot of these problems go away. There’s a good chance Additive Manufacturing will catch on earlier in Africa and other developing regions, because it offers an immediate benefit. And in space? How will 3D printers effect what’s going on up there? Well a company named Made in Space now actually have their second printer up on the International Space Station (ISS) and it goes way beyond that. If you think that in Africa logistics are a nightmare – just think how much harder it is to get something up onto the ISS. If the astronauts don’t have the right sized screwdriver, it costs millions of dollars to send one up to them and they’ll have to wait months for the next rocket launch. 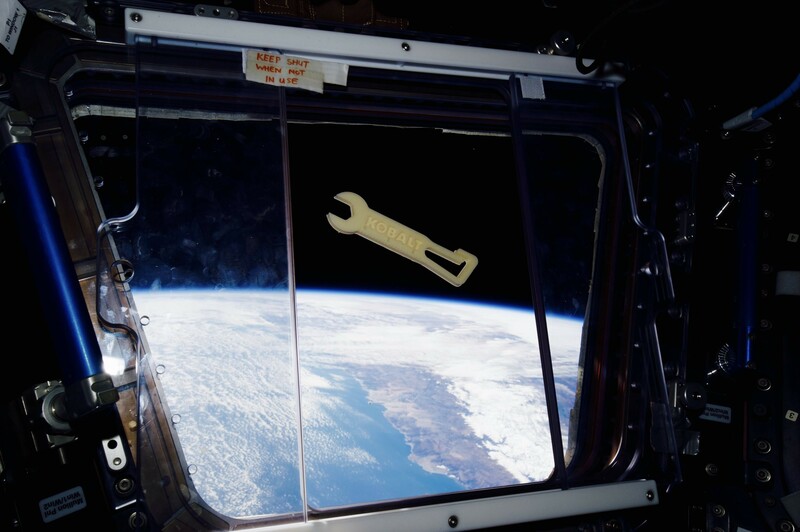 Space-Optimized Kobalt Wrench by Made in Space. So being able to print something like that is completely revolutionary. Additionally, in the future, the plan is to mine asteroids and print in situ. In other words, we will mine the materials from the moon or an asteroid and then use the local materials to 3D print structures in space. And in fact it’s already being done: Made in Space used a piece of an asteroid to 3D print a part thus validating the process. So it's not quite science fiction anymore, it's actually doable. Obviously it requires a lot of investment and a lot of refining of the technology but we are getting there. Imagine how transformative it would be to use materials that are in space and use solar energy to print large scale structures – this is going to make space colonization actually possible because now we will be able to build for comparatively small sums of money.